Gwen 07-04-2019 . 1 Comment on Sunday Live Shows + Live mix-set! 20190407 RECORDED. Categories: +mix, Audio, Charts, clip, Discontinu, DJ Mix, Download, Geschiedenis, Haagse Flitsende 50, Live mix set, Live Show, Marathon, new release, Nieuws, Stad Disco Zondag, Sunday Live Show, vinyl. Tags: Chatbox Videostream, Electro, Haagse Flitsende 50, Haagse Radio piraten, High NRG, I venti Records, Internet radio, Italo Disco, Italo Internet Radio, Italo mix, Live mix set Italo, Live Request Show, Marco di Luna, Radio Stad Den Haag, Request a song, RSDH, RSDH TV, Sergi Elias, Spacesynth, Stad Sundaynight Live, Studiocam, turntables, Vinyl, vinyl records Italo. And back! where we belong… Hoppa, it’s Sunday! Cams are on & chat is open. Om 5 uur – Michiel van der Brugge presenteert DoucheCo. Deze week platen uit de “Haagse Flitsende 50′ van 21 juni 1986! ‘Haagse Flitsende 50’ that was once broadcasted every Saturday on RSDH. 19:00 CET- A live mix-set with VINYL only by DJ Johan Van der Velde! He used to be a former non stopper on RSDH back in the roaring 80s. And he still has the skills ladies and gentelmen! 20:00 CET – Your gang is allways in the mood for a night out playing vinyl from the home collection. But why not join us in our Radio cafe? Hand in your favourite record, and we will happily play it for you. Let’s share the music we love. Click on ‘Song Request’ on top of this page. Also a mash-up made by Marc Hartman, the new Change and this eve’s spacesynth and no firsts for once, exept You! Download this show in audio & Video… also on mixcloud and playlist is in the comments, Enjoy! Gwen 17-06-2018 . Categories: +mix, Charts, Discontinu, DJ Mix, Download, Haagse Flitsende 50, Live Show, Nieuws, Stad Disco Zondag, Sunday Live Show, vinyl. 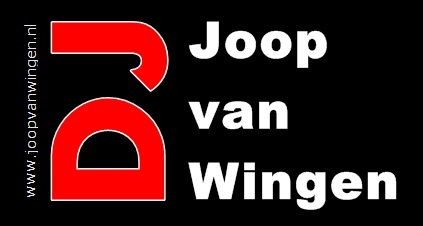 Tags: Charts, Disco-Mix, DoucheCo, Eurobeat, Haagse Flitsende 50, Haagse Radio piraten, High Energy, I venti Records, Italo Disco, Italo Internet Radio, Iventi Records, Johan van der Velde, Live internet radio, Live Request Show, Radio Stad Den Haag, Spacesynth, Stad Sundaynight Live, Studiocam, Vinyl. Back on air this Christmas eve sunday! For some Christmas is ‘Humbug’ for others it is the ultimate. Who ever you are, where ever you are, with whom or not you are..we are here for you…. on X-Mas eve Live. 5-7pm Doucheco live show hosted by Michiel..The best tracks from the classic hit-chart broadcasted on RSDH in the 80s. Today the list from 28 december 1985. Wat draaide wij toen…? Luisteren dus. 7-8pm CET… A live mix set in our studio with vinyl by DJ Joe Nathan! 8-11pm CET; The sunday night live special Christmas eve show. Your hosts this evening are Marco di Luna and Saskia… all dressed up for your entertainment. Join them and dress up too… In the studio drinks, nibbles and the best music. Join the chat guys. Menno and Gwen are with family, eating and drinking. They will be back next saturday for the top 100… vote now while you can!. Enjoy this special evening with Radio Stad den Haag. DoucheCo & Live Mix Session are available for download. Stad Sundaynight Live due an error not. Gwen 24-12-2017 . Categories: +mix, Charts, clip, Discontinu, DJ Mix, Download, Geschiedenis, Haagse Flitsende 50, Kerst, Live Show, new release, Nieuws, party, Stad Disco Zondag, Sunday Live Show, Video, vinyl. Tags: Christmas eve RSDH, Disco-Mix, Discontinu, DJ Joe Nathan, DoucheCo, Eurobeat, High Energy, Italo Disco, Italo Internet Radio, Italodisco, Iventi Records, Live mix set Italo, Live Request Show, Marco di Luna, Radio Stad Den Haag, SIAE, Space Sound records, Spacesynth, Stad Sundaynight Live, Studiocam, Vinyl. Only 2 weeks to go befor we start to countdown our annual Top 100 that you made! . Join us today live for the best Italo and High NRG tracks and your requests. Cams are rolling, chat is open. So while you are here, please vote for the Top 100 of 2017. Thanks so much. 5-7pm CET; Another episode of DoucheCo hosted by Michiel..The best tracks from the classic hit-chart broadcasted on RSDH in the 80s. Today a real oldie, from the beginning.. december 17, 1981 ! ‘de Haagse 5-tig’. Een echte klassieker vandaag n.l. 17 december 1981! Wat draaide wij toen…? Luisteren dus. 8-11pm CET; The sunday night live request show. We are ready to spin those old school dancehits and new music! Hand in your requests now ! Tonight the radio exclusive of a new Cyber Space (Andreas Mohr) thats coming out next week on Space Sound records. Gwen 17-12-2017 . Categories: +mix, Charts, clip, Discontinu, DJ Mix, Download, Geschiedenis, Haagse Flitsende 50, Live Show, new release, Nieuws, Stad Disco Zondag, Sunday Live Show, Video, vinyl. Tags: Disco-Mix, Discontinu, DoucheCo, Eurobeat, High Energy, Italo Disco, Italo Internet Radio, Italodisco, Iventi Records, Live Request Show, Marco di Luna, Radio Stad Den Haag, SIAE, Space Sound records, Spacesynth, Stad Sundaynight Live, Studiocam, Vinyl.